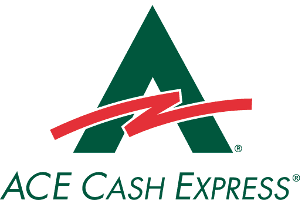 The ACE Cash Express is a retailing company that provides financial services in thirty seven states and the District of Columbia. The company is headquartered in Irving, Texas and can also be reached by email at [email protected] It has been operating in the sphere of financial services since 1968 and there are 1,718 locations all over the country. The company has ambitious plans to develop its growth in all the remaining states in future. 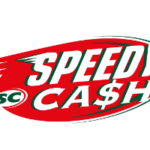 Apart from providing their main services, such as check cashing and payday loans, ACE Cash Express also provides customers with a comprehensive range of services: installment loans, title loans, auto insurance and prepaid debit cards. The company provides cashing different checks,e.g.personal checks, cashiers checks, as well as insurance checks and money orders. Whatever your purpose it, you can cash your checks at any their store, and the process is absolutely hassle-free. The company has developed their own system of risk-assessment to protect itself and customers against any fraud, which makes them really stand out from the crowd. There is one more type of service that that ACE Cash Express can boast of – it is comprehensive tax refund check. The company may cash those checks, and may also put the money into a prepaid Visa debit card. As a result, customers can spend their funds either online or at any stores accepting Visa. There is one more type of service worth looking at. It is debit card service. For customers not to take a risk of carrying much money, they are offered to open a debit card. Even customers with bad credit history can enjoy the opportunity. 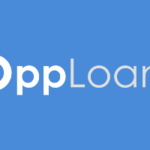 One of the services the company specializes in is offering payday loan service. The amount of money a customer is entitled to borrow depends on the state he or she resides; it may vary from $100 and $1000. This is a helpful way to bridge the gap between paychecks if you temporarily run out of cash. There are other services offered by ACE Cash Express, and comprehensive bill payment is one of them. The company deals with phone bills or power bills, all you have to do is to bring the money and ACE Cash Express will make sure the bill gets paid. This is the type of service you can hardly find in other companies, isn’t it? How Does the Company Operate? And now let us have a look at the way the company operates in more detail. ACE Cash Express provides installment and title loans for a period of up to 6 months, it depends on the state a customer lives in. The process of application is hassle-free and the form can be filled out online. Besides, the process of approval or denial does not take much time as well. How High Are ACE Interest Rates? What does interest rate depend on? It depends on the amount you are willing to borrow and the state you live in, as laws are different in different states. Your interest rates may range from 180% to 890.40% APR. For instance, if you apply for a loan in the state of California and borrow $2,600, the interest rate will not exceed 209.27% APR. In the state of Delaware, however, a $1,100 loan will cost as high as 497.61% APR, while in Texas interest rate may rise up to 890.40% APR per a $1,100 loan. If a client agrees on the so-called recurring payment authorization with the bank, he or she can get a discount, which will make a significant amount. 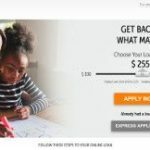 If, for instance, you take a $400 loan in Texas, you will pay 477.19% APR in case of a recurring payment authorization in comparison with 890.38% APR if you do not set it up. The amount of money you can borrow depends on the state you live in and may vary from $100 to $5,000. In What States Does the Company Offer Its Services? Arizona, Arkansas, California, Colorado, District of Columbia, Florida, Georgia, Indiana, Kansas, Louisiana, Maryland, Minnesota, Missouri, New Mexico, North Carolina, New Mexico, Oklahoma,Oregon, Pennsylvania, South Carolina, Tennessee, Texas, Virginia. What Is the Process of Application Like? The process of application is rather simple and fast, both online and at a local store. First, you have to fill out an application form, which will take some time to process and give a reply. As the whole process is carried out electronically, there is no need to fax or send documents by mail. Then, the requested amount is transacted into your account within 24 hours. What Makes ACE Cash Express different from Other Lending Entities? ACE Cash Express Positions itself as an alternative financial services lender and this fact makes it different from other lending entities. Having about 50 years of experience and operating in most states of the US, the company provides money when you need it most. The process of approval or denial is instant, all the information is transparent and clearly placed on the website. The range of financial services available is impressive; and, as the company sticks to the policy of putting the client’s interest first, applicants are not charged any interest or fees if they decided to cancel their loan.